Kupu Kupu Resorts and Spa by L’Occitane proudly announces the opening of its new boutique hotel property, Petit Hotel, in Ubud, Bali, Indonesia. The boutique hotel is named after ‘Petit’ means small in French which in tune with the number of rooms, small for a total of a 12-spacious-suites. It is located in the main entrance of its sister properties’ complex – Kupu Kupu Barong Villas & Tree Spa by L’Occitane and Jungle Retreat Ubud Hotel, overlooking at a timeless landscape of Kedewatan Village and Balinese Temple. 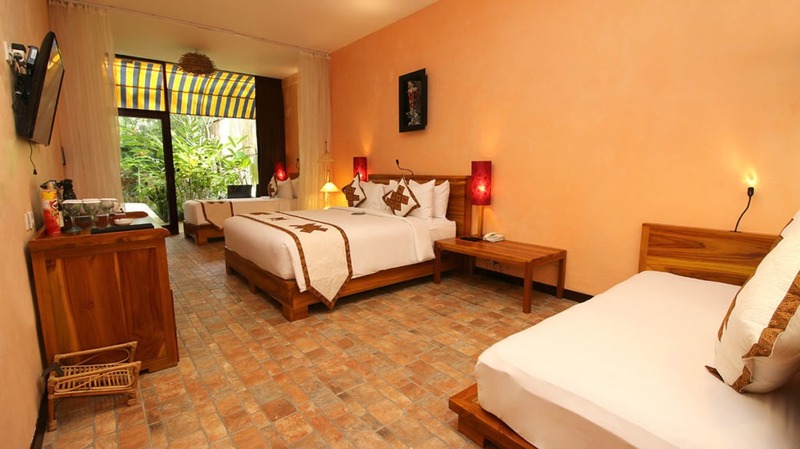 Petit Hotel delivers a spacious, elegant, and stylishly décor, family-oriented hotel for the guests. It is only 15-minutes’ drive away to Ubud Market and 25-minutes’ drive away to Monkey Forest, one of the most well-known tourist attractions in Ubud, Bali. The 12-spacious-suites boutique hotel is encompassed with three different categories of suites such as Family Garden View, Grande Garden View, and Temple View Suite. Family Garden View and Grande Garden View. In terms of service, it is readily to deliver a 24-Hours services to all of the guests, assisting with foods and beverages, laundry services, wake-up calls, indoor and outdoor activities in Ubud, shuttle car, on-hotel taxi, airport transfer, and any other enquiries with full attentiveness. The hotel is featured with a rooftop pool with sundeck, on site restaurant for breakfast, fitness and gym centre, and Spa by L’Occitane. Guests at Petit Hotel are granted a free access to visit its sister properties, Kupu Kupu Barong Villas & Tree Spa by L’Occitane and Jungle Retreat Ubud. Guests can explore and enjoy the facilities of the fascinating luxury boutique resort, Kupu Kupu Barong Villas & Tree Spa by L’Occitane while staying at Petit Hotel. With its strategic location, guests are able to get a better insight and experience the livelihood of the locals at Kedewatan village, Ubud. It is fascinating that guests can learn and experience the culture, languages and culinary of the locals while staying at Petit Hotel. Besides, Petit Hotel offers guests with outdoor and indoor activities such as picnic breakfast, rafting, trekking, rice-farming, yoga, traditional Balinese dance learning, solid perfume making and many more. Petit Hotel marks the sixth property of Kupu Kupu Resorts & Spa by L’Occitane and the fifth property in Bali, Indonesia. For more information or to make reservation, please visit www.petithotelbali.com or email to reservation@kupubarong.com.